Hanover - The fans might not have entirely embraced Hannover 96's recent slide, but for head coach Mirko Slomka a ninth-place finish was "a marvellous result." However, following two years of European football, the Lower Saxony outfit fell some way short of qualification for the UEFA Europa League, with the paltry 13 points collected on the road proving costly; compared to the 32 points accrued on home soil. After looking well on course for another tilt at European football by Matchday 11, a time at which they had also wrapped up a place in the Europa League's first knock-out round, five losses from their ensuing seven matches saw Slomka's men slump to mid-table. An injury to prodigal son , who had hit the ground running after his return from a three-and-a-half-year stint with Russian side FC Zenit St Petersburg, signalled a severe setback from which Slomka's men found it difficult to recover. 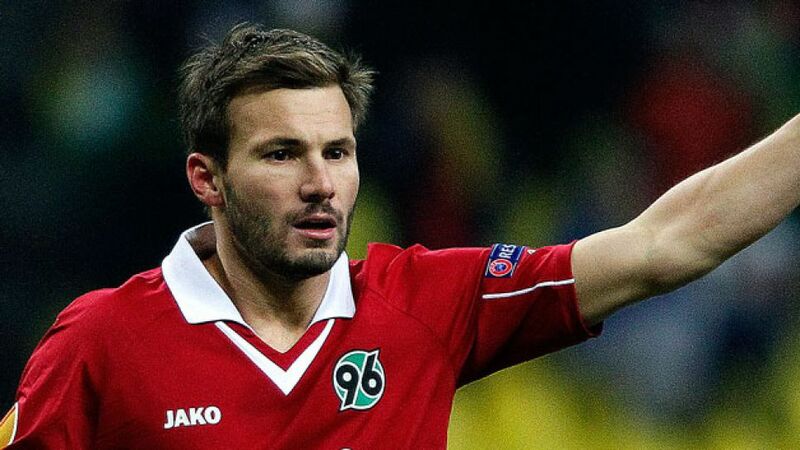 The 51-time Hungary midfielder was the club's most effective performer with eleven assists and nine goals all season, despite missing the final eleven games of the campaign after damaging his thigh in the 5-1 northern derby win over Hamburger SV. Midfield linchpin also suffered. The Dane's impressive comeback following almost two years on the sidelines was cut short by a knee ligament injury sustained on Matchday 5 but, having welcomed him back into the fold for the final game against Fortuna Düsseldorf, the Hannover faithful have every reason to be optimistic for the season ahead. Expectations remain likewise high for the men in charge at the AWD Arena. "A place in the top six" is what new sporting director Dirk Dufner, successor to Jörg Schmadtke who left the club midway through the season, has called for - not quite on a par with Slomka, who was quick to point out how Hannover only just avoided relegation in 2009/10. "It shouldn't be our ambition to establish ourselves in sixth place. Three years ago, everyone would have been happy with coming ninth," he explained.